NICO - Boys Want Raglan Tees Too! We received many requests from customers asking for a men's raglan tee. 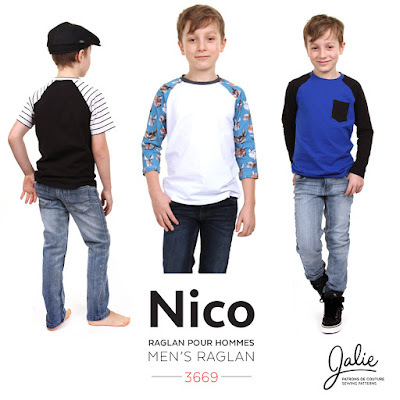 It is such a great staple garment that we had to include one in the lot :) So here is the NICO raglan t-shirt pattern for boys and men!